After seven years, time has confirmed that when something is done with passion, it is perceived by the client and endures over time. 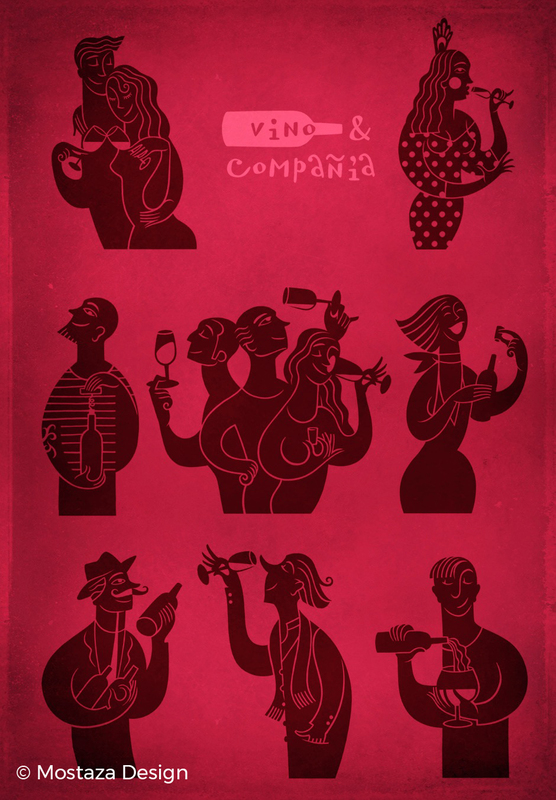 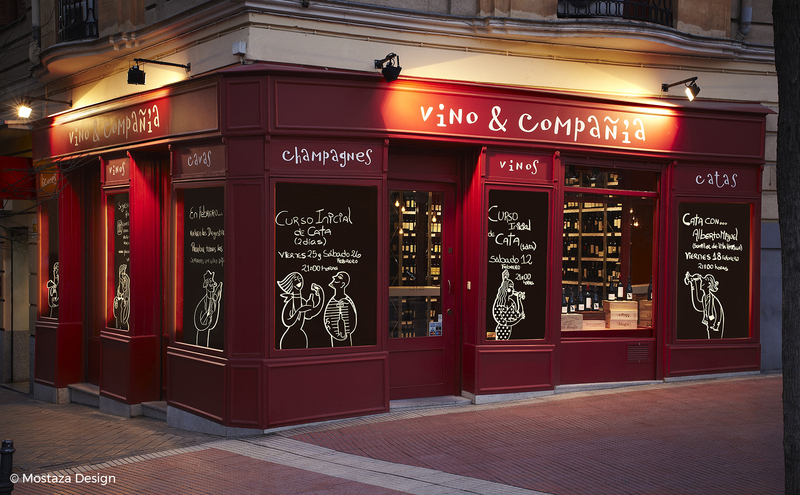 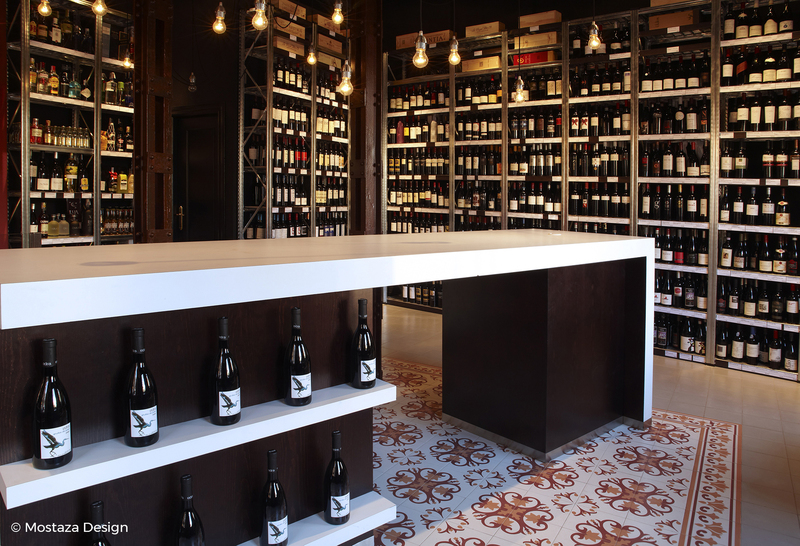 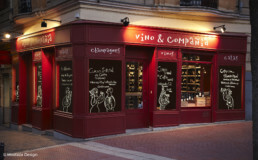 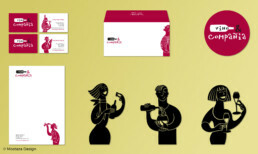 Vino & Compañía has become a leader in wine shops in Madrid. 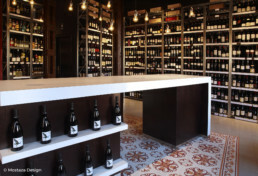 An intimate space with pleasant atmosphere, where you feel good, you get good recommendations, and you come back. 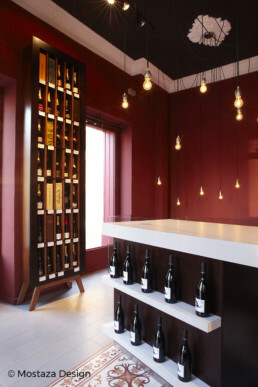 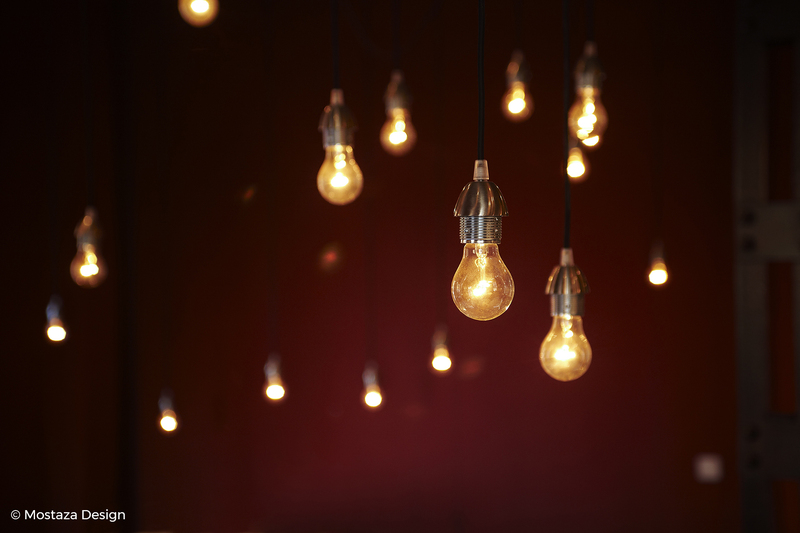 The two-floor premise consists of a shop on the ground floor, where warm lighting and light bulbs suspended over a large informal counter generate the space flow. 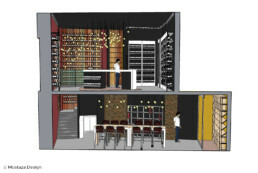 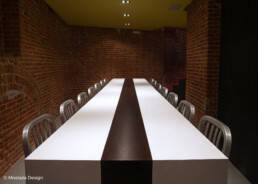 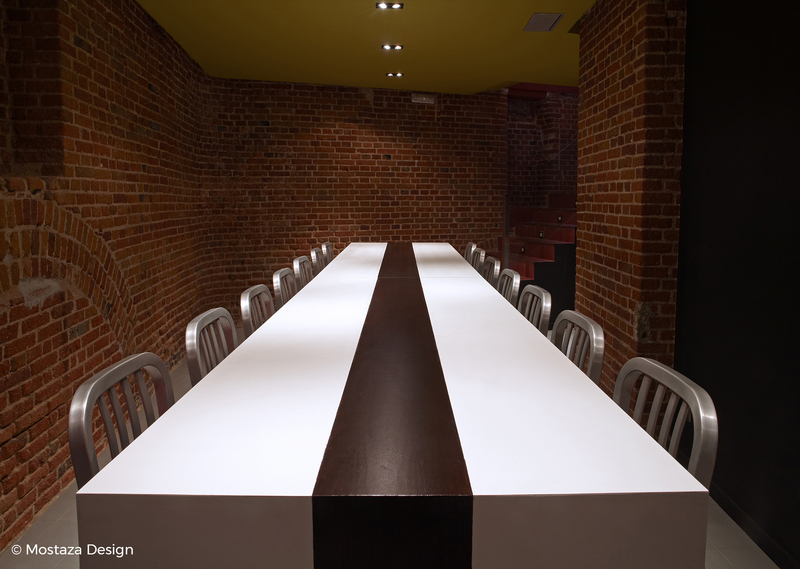 The basement, which is used to conduct wine tasting courses and presentations, is surrounded by exposed brick and colors reminiscent of green and red grape hues.